Yesterday, I took Jesse to the airport. He’s off to New York for almost 3 weeks for a training course. I hate to be that girl, but I miss him already. So in the meantime, I plan on baking a lot. Because baking makes the world a little bit better. 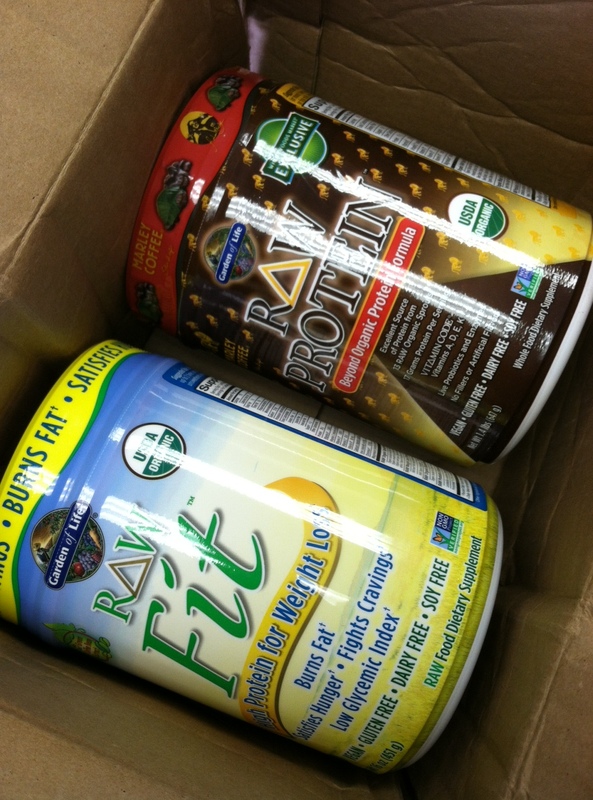 After I did my search for the best protein powder, Garden of Life sent me some more of their flavors to try: Garden of Life RAW Protein Marley Coffee and Raw Fit. I automatically fell in love with the Raw Fit, because it kept me so full for so long, but I had a hard time with the Marley Coffee flavor. Given that I’m a coffee fiend, I thought I would love the coffee flavor, but I’m going to be honest, I didn’t love the flavor on its own. So instead of devouring the Marley Coffee flavor like I did the Raw Fit in my usual breakfast smoothies, I’ve been trying to find other delicious ways to use the Marley Coffee Protein and here’s my most recent creation. It’s no secret I have a ridiculous sweet-tooth, it’s also no secret that I generally try to balance it out with healthy eats. So I decided to try to combine my love of sweets with a dose of healthiness. 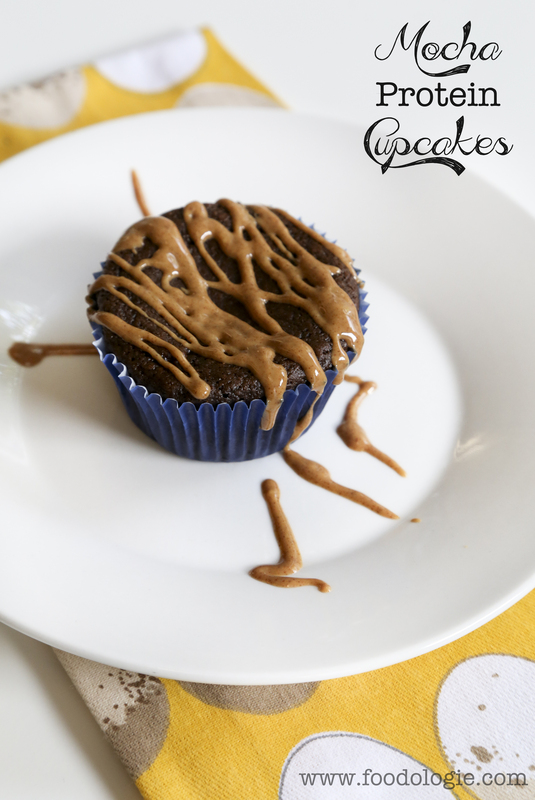 These cupcakes don’t contain any butter or refined sugar and each one has 7g of protein and only 125 calories. 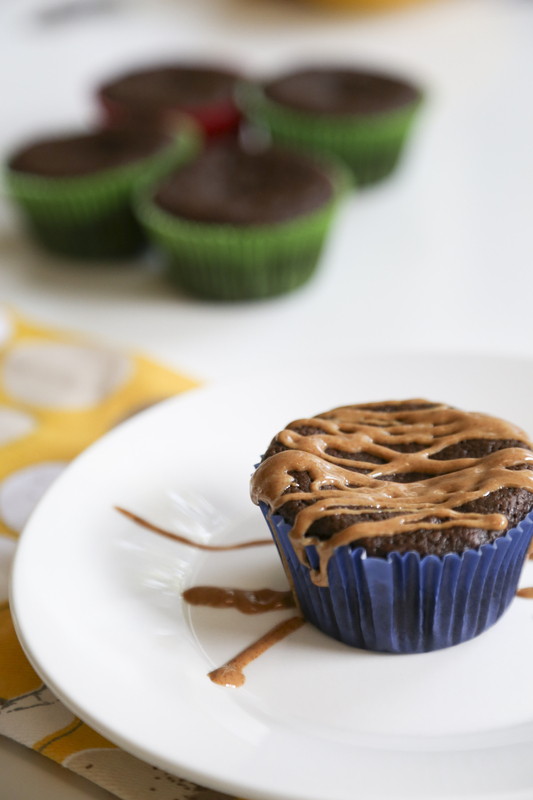 Drizzled with a bit of almond butter, they’re the perfect healthy-ish treat. Mix together mashed banana, almond butter, maple syrup, egg and almond milk. Add cocoa powder, protein power, almond meal, baking soda, baking power and salt. Stir to combine. Pour batter into 11-12 lined cupcake pan. I got 11 cupcakes out of this. Bake 15-18 minutes or until cooked through. Remove from oven and allow to cool completely. Was the texture. They’re light and crumbly like a good cupcake should be. The coffee flavor isn’t ultra strong, honestly these taste more like great chocolate cupcakes. 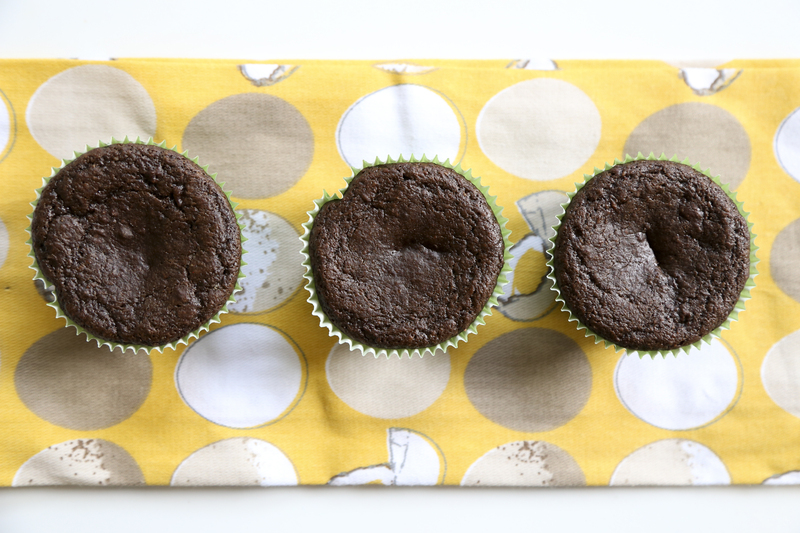 After all, it’s pretty common to add coffee to chocolate baked goods for flavor. This protein added that perfect hint of coffee flavor that makes chocolate baked good extra delicious. 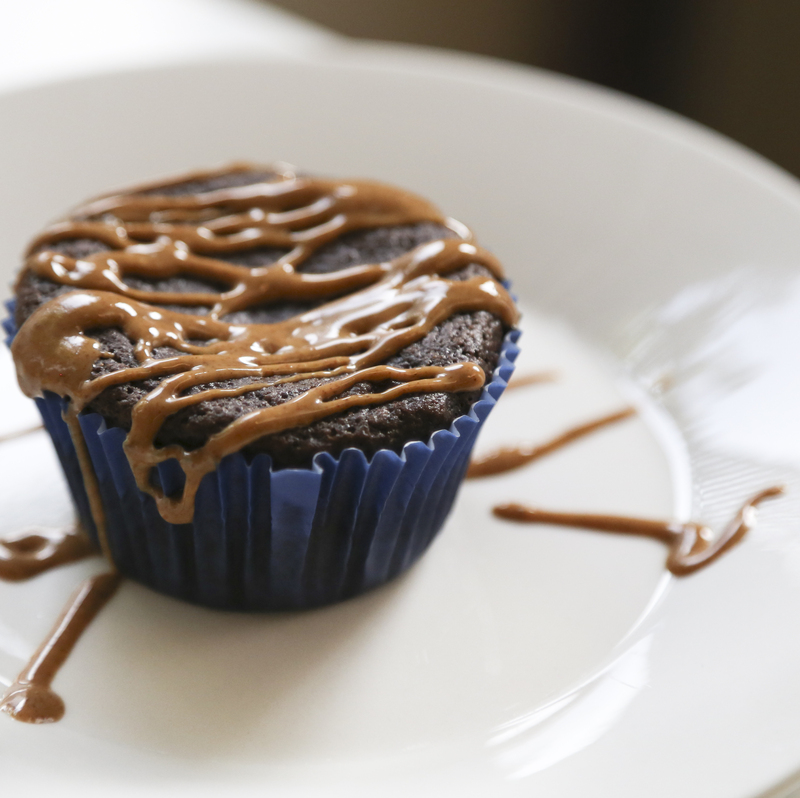 So if you’re looking for a healthy cupcake, this is the one for you. Be sure to check back later this week, I have some great things planned for you all! **Note: Garden of Life provided me with the Raw Fit and Marley Coffee RAW Protein, but the opinions are my own. these look good! i’ll have to try making protein cupcakes. 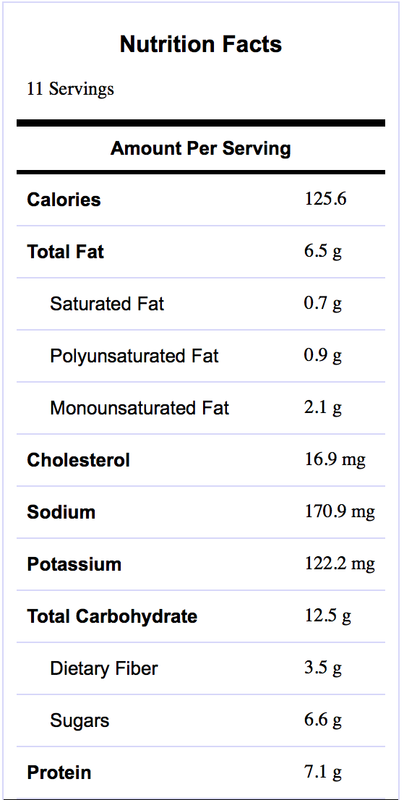 is the garden of life protein powder soy free? Such a good idea for protein powder you don’t like on its own. They sound great! Omaiga! I want to reach in my screen and just grab one!!!!! I’ll have to try this! Gracias!